I am excited to curate the Vernon Salon Series, a monthly series whose mission is to provide Bay Area musicians an informal setting to present and discuss new musical works with an enthusiastic and supportive audience. Founded in January of 2016 and occuring on the second or third Friday of the month, it has provided a wonderful setting for artists to meet friends and test out new programs and ideas. Alongside many incredible musicians, other artists who have presented their work in the past have hailed from the fields of visual art, literature, musicology, viticulture, illustration, and dance. Please contact me if you are interested in performing on the series or would like to be added to the monthly invitation email list. May: Michael Jones is a percussionist based in San Diego whose work focuses on experimental music and the avant garde. He is particularly interested in the concepts of beauty, natural listening, and community. The Basketweave Elegies (2018) is a new work for vibraphone by composer Peter Garland, based on the sculptures of the late San Francisco-based artist Ruth Asawa. 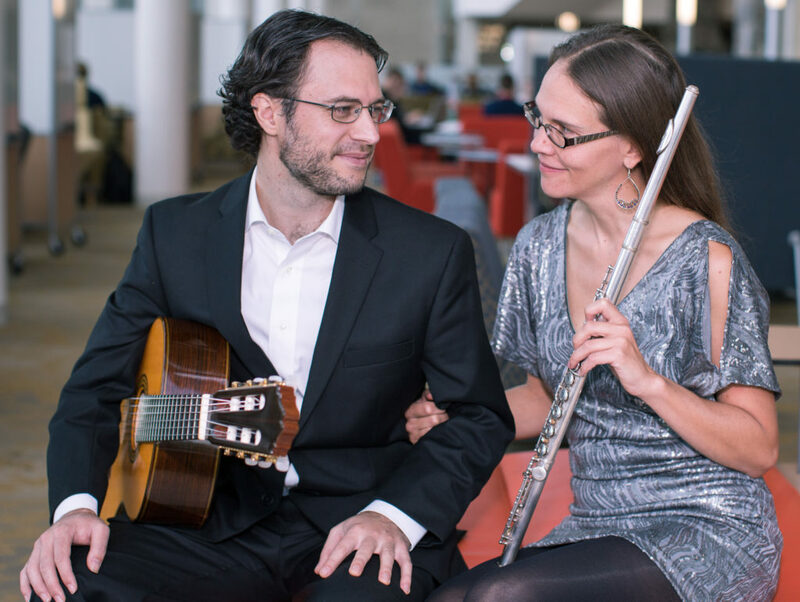 June: Folias Duo will present a program of all original classical music for flute and guitar influenced by Argentine tango, Astor Piazzolla, and South American folk. American Record Guide calls the Folias Flute and Guitar Duo “daring in self written music.” Having worked together for over ten years, this husband and wife duo of flutist Carmen Maret and guitarist Andrew Bergeron continue to break new ground as performers and composers with a list of over 40 self-published compositions on the Folias Music site. Folias’ five critically-acclaimed albums on the Blue Griffin Recording label show their versatility as musicians. April: Oakland-based Robert Nance presented Inwards, a set of pieces for solo electric guitar heavily reliant on improvisation and inner reflection. 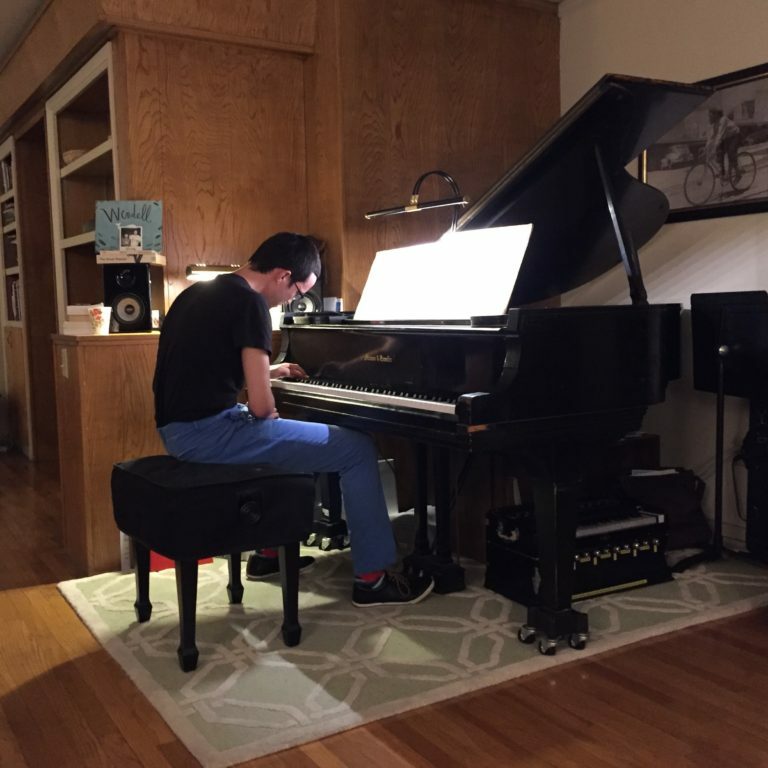 The core idea was initially conceived as an exercise to eschew self-criticism while composing. In these very meditative works, audiences will be encouraged with explore their own relationship with listening as a form of self-reflection. March: Zwischenspiel, a German word meaning both interplay and interlude, is a meditative program, features new and old music paired with photographs from 2 continents. Zwischenspiel features pianists Rachel Breen and Kelsey Walsh, both Bay Area natives, who have found a new home in Germany. Breen and Walsh are graduates of Juilliard and the San Francisco Conservatory of Music, and both maintain a full performance and teaching schedule in Hannover and Berlin, respectively. 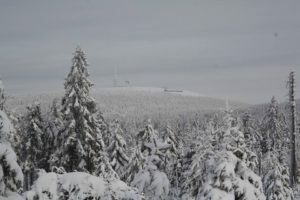 Works included on the program are J.S. Bach’s Contrapunctus 1 (from The Art Of The Fugue) and David Lang’s Orpheus Over and Under. February: d’PaJo is an eclectic ensemble that focuses on their mutual love and appreciation for a myriad of musical styles – gypsy jazz, jazz standards, great American songbook, and any other music that speaks to them. As a collective, they have performed internationally on more than two continents and in a dozen countries, in settings ranging from intimate house concerts to venues such as Yoshi’s, Grace Cathedral and Davies Symphony Hall. Guitarist Patrick Anseth and Violinist Justin Ouellet have been active in both the California & New England music scenes. They are current faculty members at the renowned Oakland School for the Arts: Patrick is the director of the Jazz Guitar program, and Justin is the Co-Director of Chamber Music & Orchestral Studies. Listen to one of their live performances here. 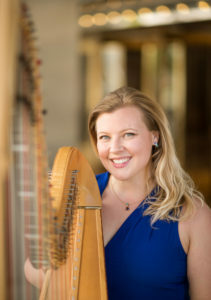 January: San Francisco harpist Meredith Clark performed a set of solo works by harpist and composer Carlos Salzedo (1885-1961). Salzedo transformed the way composers write for and think about the harp through his large solo harp repertoire and his development of notation system for extended techniques that has been widely adopted. He also worked with famed dancer Vaslav Nijinsky to develop his own method of playing. Meredith keeps a busy schedule playing with orchestras all across the Bay Area as well as playing chamber music and recording for video games and films. She is the Principal Harpist of the Oakland Symphony and part of the Joshua Trio (soprano, cello and harp). December: CD release party and holiday gathering! I’ll be officially unveiling my Goldberg Variations CD. Please come and join the celebration! 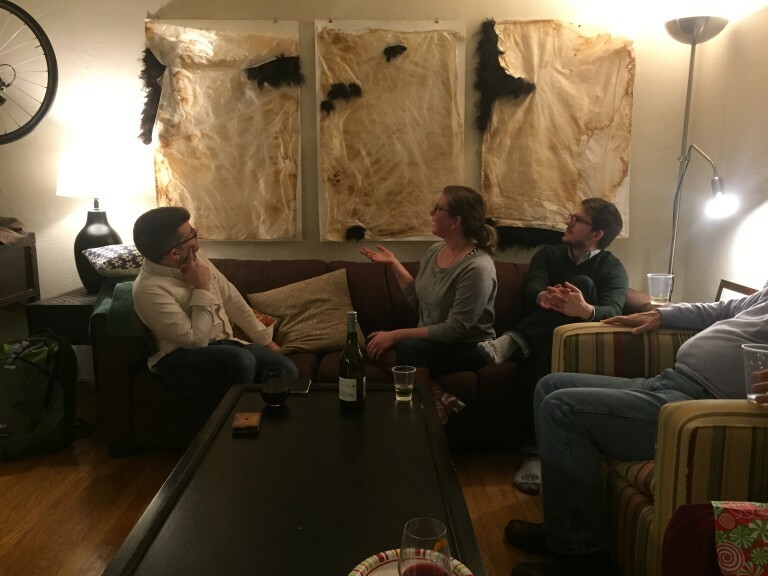 November: It was the second annual Bring Your Favorite Artwork Salon! We shared music, books, poetry, videos, and more. October: Trio Étrange (Corey Mike – violin, Lewis Patzner – cello, and Anne Rainwater – piano) performed the early Brahms Piano Trio, Op. 8, as well as a movement from a new trio composed by Lewis Patzner. September: San Francisco vocalist Melinda Becker and pianist Anne Rainwater performed Voy Solo – 20th Century Poetic Narratives, a song set that spans different cultures and languages, including Cuatro Canciones Andinas by Gabriela Lena Frank, Trois Chansons de Bilitis by Claude Debussy, and the Hermit Songs by Samuel Barber. 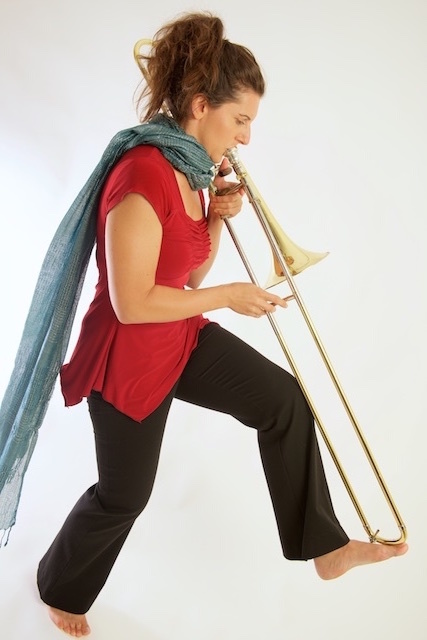 August: Vocalist/composer Anne Hege and trombonist/composer Jen Baker performed works created from their inaugural MAMA residency that explore the connection between listening, movement, improvisation, and instrument building. 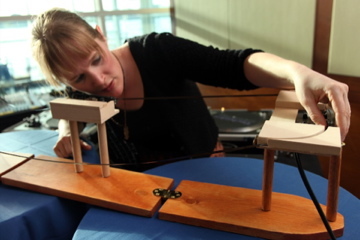 Using extended techniques and new technologies, Anne and Jen presented new works for voice, trombone, tape machine (analog live looper), and smartphones. They also discussed their compositions and strategies for supporting creativity and artistic excellence while parenting young children. 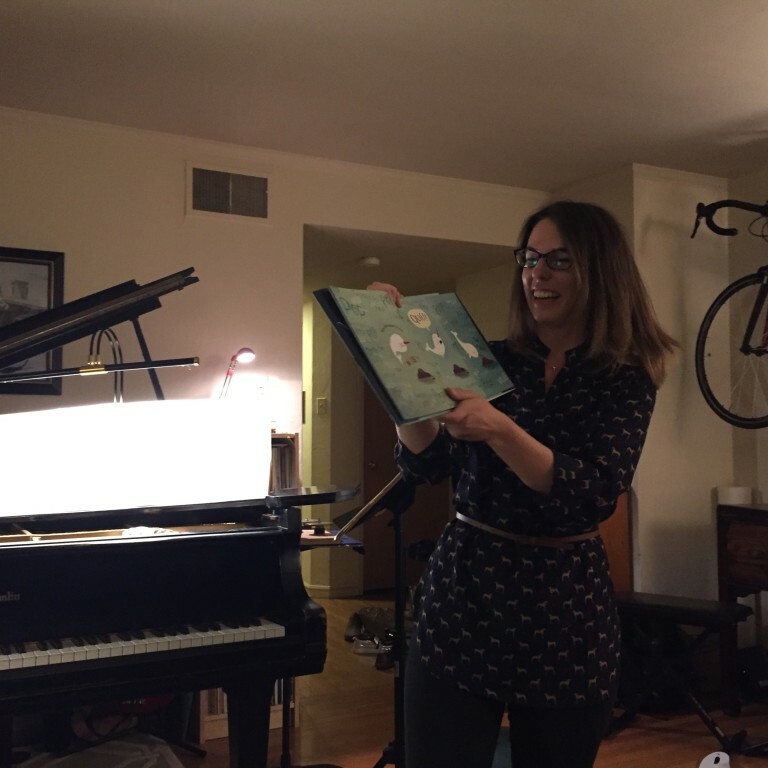 June: Oakland-based pianist Kate Campbell played some solo works by Molly Joyce, Caroline Shaw, David Lang, LJ White, and Don Byron. May: Oakland-based pianist Emily Tian performed works by Leslie La Barre and Nikolai Kapustin. 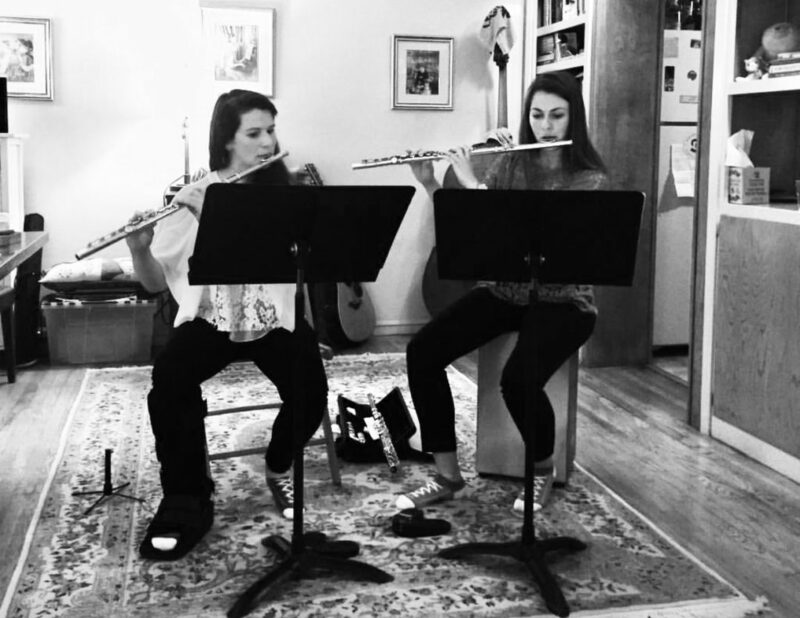 April: San Francisco-based Siroko Duo (Victoria Hauk and Jessie Nucho, both on flute) performed works by Jane Rigler, Izabel Austin, Nadine Dyskant-Miller, Alexandre Lunsqui, and Brett Austin Eastman. March: The Tiny Lady Trio (Sophie Huet – clarinet, Erin Wang – cello, and Elena Akopova – piano) performed Beethoven and Muczynski. 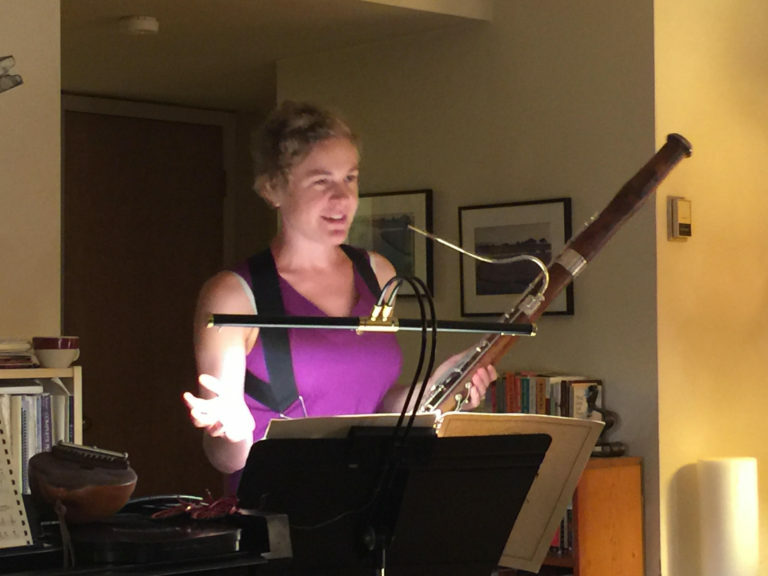 February: Boston-based ensemble Transient Canvas (bass clarinet and marimba) presented some exciting new works as part of their California tour, featuring Joseph M. Colombo, Lainie Fefferman, Keith Kirchoff, Emily Koh, Crystal Pascucci, and Matthew Welch. December: Renegade Duo is Jon Mendle, guitarist and Melinda Becker, mezzo soprano. Utilizing both historical and modern instruments, they performed a contemporary set by California-based composer Gary Eister, obscure songs by 19th century guitar composers Salvador Castro de Gistau and Karl Eulenstein, and a set by John Dowland. November: The first annual Bring Your Favorite Artwork month! Guests brought any work of art they personally enjoyed, and we had a lively sharing session followed by a discussion. October: In collaboration with Phonochrome, musicians Elizabeth Talbert (flute) and Sophie Huet (clarinet) presented a timely, musical exploration of artistic and literary censorship. The show featured music inspired by banned literature, including Unsuk Chin’s Advice from a Caterpillar (from Alice in Wonderland), and music from banned composers, including J.S. Bach, whose works were censored during China’s Cultural Revolution. September: The fabulous contemporary flute trio Areon Flutes performed pieces they commissioned from composers Ryan Rey, Julie Barwick, Elainie Lillios, and Dan Becker. 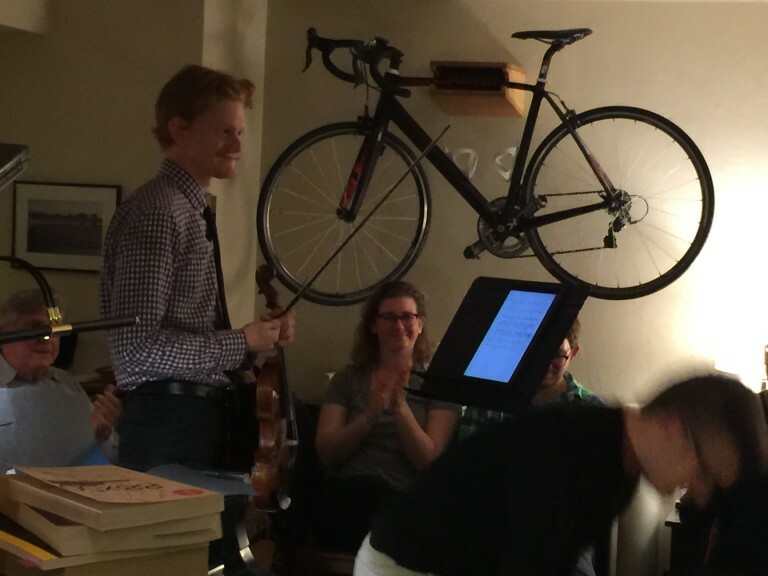 June: It was Music Trivia Night at the Vernon Salon Series, hosted by the inimitable Ben Zucker! May: Cellist Helen Newby performed some new pieces from her solo album that featured commissions by David Bird, Danny Clay, Adam Hirsh, Kurt Isaacson, and Haley Shaw. Composer Ben Zucker presented a lecture-performance realizing his conceptual topography score that incorporates text, graphics, notations, and performance. 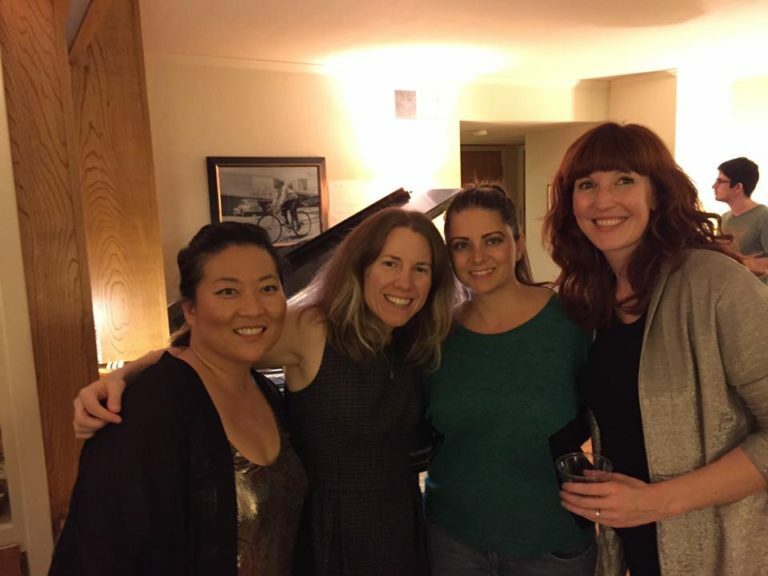 April: Local East Bay musicians Amy Zanrosso and Alisa Rose played Prokofiev’s First Violin and Piano sonata. Afterwards, artist Victoria Welling continued our discussion from February about women in the arts. 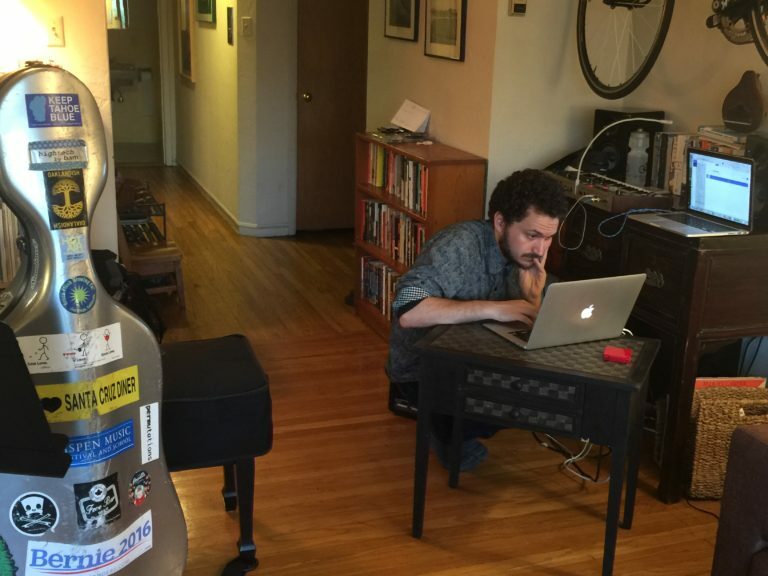 March: Vernon Street resident and cellist/composer Lewis Patzner performed originals and transcriptions for solo cello. Lewis is a local freelancer who plays in a variety of groups including the Town Quartet, Musical Art Quintet, Cosa Nostra Strings, Devotionals, and Judgement Day. February: Flutist Jessie Nucho performed two solo works with electronics and fixed media by Kaija Saariaho and Eve Beglarian, and writer Lindsay Merbaum gave a talk about her experiences as a writer and literature critic. January: We heard from pianist James Stone, violist/composer Scott Rubin, and butoh dancer Shoshanna Greene. See below for a video! December: We heard from the [Switch~Ensemble], who performed works by Ben Isaacs, Chris Chandler, Max Murray, Matt Sargent, and Anthony Pateras. November: Local musicians Mark Clifford and Crystal Pascucci performed some original duo pieces together, and Mark also spoke about how he personally addresses the unique challenges of composing for various types of ensembles and how he gives performers room to be improvisers within the context of pieces that are specifically notated. 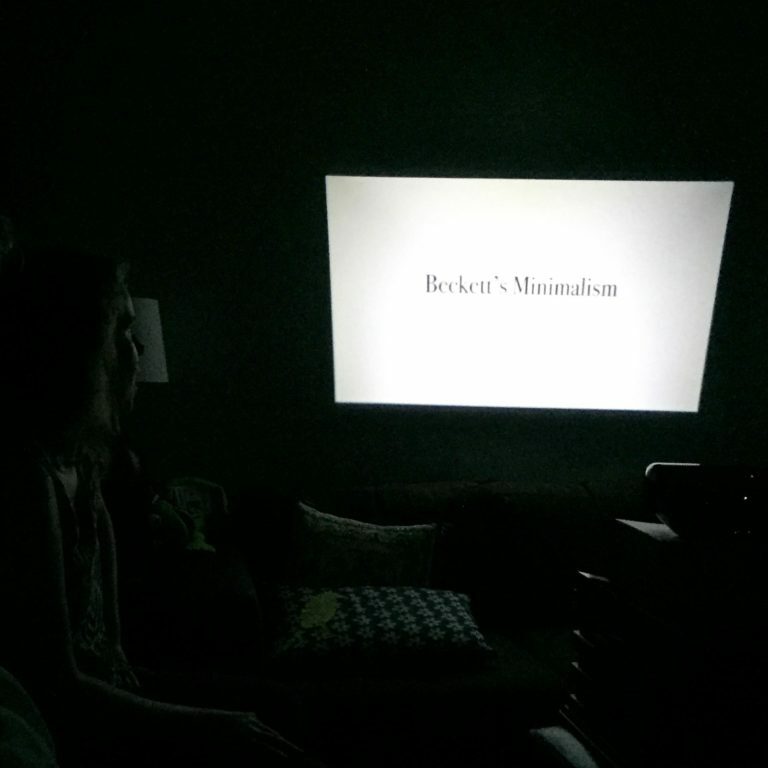 October: Presentations this month included a performance of Ligeti’s Musica Ricercata by pianist Allegra Chapman and a talk by Little Opera’s founder, Erin Bregman. September: Composer Jason Thorpe Buchanan and wine industry expert Jose Coronado gave talks on their work. August: We heard from composer/guitarist Dr. Matthew Hough and vocalist/music theorist Meg Wilhoite, performing original compositions by Matthew. July: Dr. Stephanie Patterson, a bassoonist who teaches at Columbus State University in Georgia, performed a set, followed by a presentation by guitarist Robert Nance also presented a talk about composer Kevin Volans. June: We heard from contemporary pianist Andy Costello and Beckett scholar Dr. Emily Zubernis. 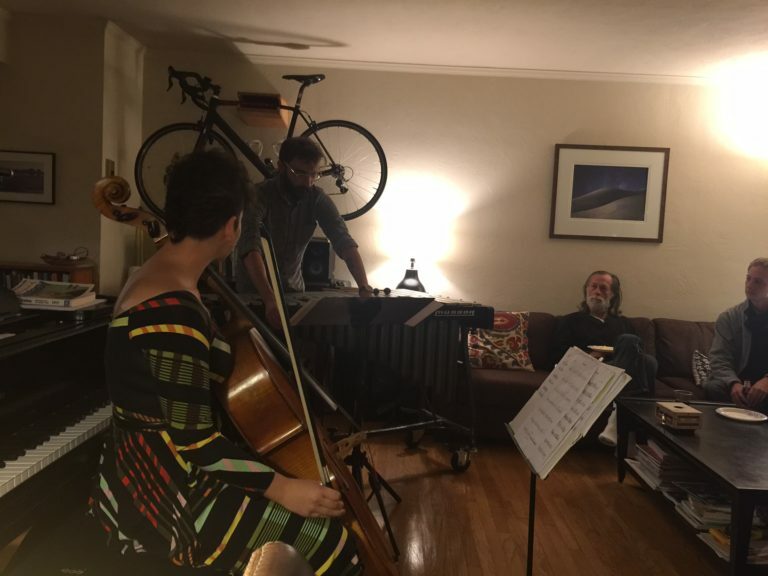 May: Caitlin McSherry, Monika Warchol, and Anne Rainwater performed horn trios by Johannes Brahms and Eric Ewazen, followed by John Cage’s Living Room Music and presentation by local composer Danny Clay. April: Liason Ensemble performed a Baroque set and Rachana Vajjhala, a musicologist from UC Berkeley who specializes in French ballet, spoke about Debussy’s Jeux. March: Performers this month included guitarist Matt Linder, followed by Doug Machiz, Jessie Nucho, and Anne Rainwater performing George Crumb’s Voice of the Whale. Local illustrator Emily Dove Barton also read us her new book Wendell the Narwhal. February: We heard the music of Robert Nance performed by Kevin Rogers, Abigail Nance, and the composer himself. We also heard poet Roy Doughty read some of his recent writings. January: We heard from Mara Plotkin on bass clarinet and saw a collection of works by local mixed media artist Victoria Welling. Victoria talking about a selection from her mixed media piece "hair 1-5"